MEMOS is an idea of the European Network of Sport Science Institutes, supported by President Samaranch in 1994 and founded by Prof. Jean Camy and colleagues from several European universities and schools of sport. Five European NOCs (France, Italy, Luxembourg, Portugal, Spain) joined the project. The first edition started in September 1995. It was a two-year graduate programme in French and English, composed of eight modules. The two first editions (MEMOS I and II) were supported by the European Olympic Committees and the European Union (Socrates Programme). The European touch was strong. As from MEMOS III (2000), the programme – starting and ending in Lausanne – became a one year programme. It included four modules and only one language (English). MEMOS III to V welcomed a few non-European participants. 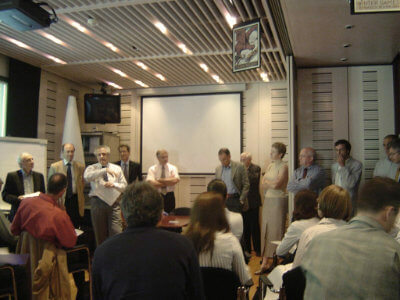 From 2003, MEMOS VI became fully open to overseas participants, with the first and last modules in Lausanne, one module in Europe and one overseas. The official name of the programme became “Master Exécutif en Management des organisations sportives ». 800 MEMOS graduates are everywhere across the Olympic Movement and the world. They represent 172 nationalities, 5 continents, 32% women, 170 NOCs, 56 NOC Presidents and Secretaries General, 12 Ifs, 3 NOC Continental Associations, 2 IOC members and 15 IOC staff members. Some of them are involved in IPC, Special Olympics, WADA, FISU, CIJM, CISM, OlympAfrica, OCOGs, etc.